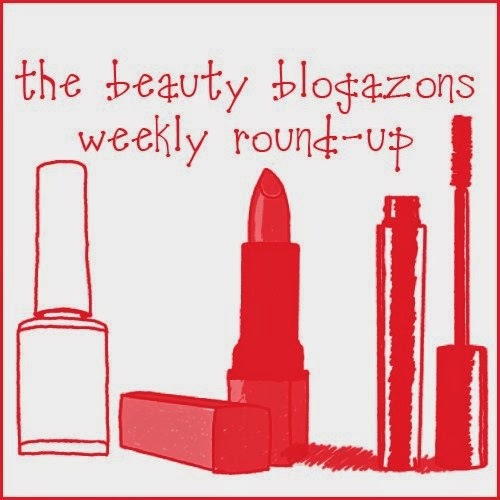 TheFabZilla: Bright lips are on trend this Spring! Check out TheFabZilla's picks from the new Giorgio Armani Maharajah collection. Lola's Secret Beauty Blog: What's better than the gorgeous Milly Zigzag Print iPad Case? Finding it on sale, of course! My Highest Self: Tina shares her first impressions on Crepe Erase for dry, aging skin! Kizzy Online: My March Favorites and a NeoCell giveaway: I'm giving away my favorite beauty supplements! Color Me So Crazy: Some of MY Favorites Products from March... Do You Have Any?? Beauty on the Bayou: LOCK YOUR MAKEUP IN PLACE - Kat Von D Lock-It Featherweight Primer. Beauty by Miss L: Simple makeup for fancy dinner party. Never Say Die Beauty: Allison shares a wonderful natural, lightweight foundation, Gabriel Moisturizing Liquid Foundation SPF18. The Passenger Element: Use Essential Oils from head to toe and all around your home with InstaNatural.